The fall arrest is a form of protection which maintains a person’s safety while they are doing specific types of work and offers a safe stop if the person should fall from their work area. In a fall arrest, 4 pieces of equipment are used to ensure and maintain a person’s safety while they are lifted to high areas for either work or rescue purposes. 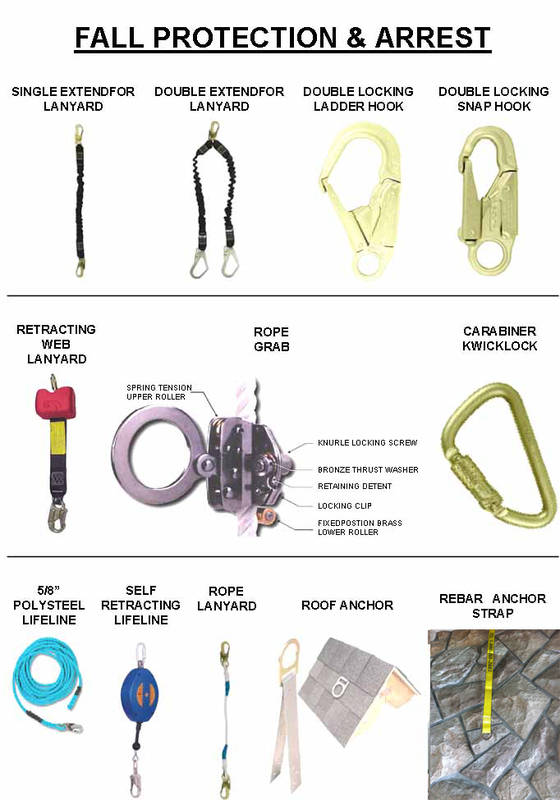 Cable Craft is one of Toronto’s fall arrest distributors. With a large selection of full body harnesses and fall protection and arrest products, our Toronto clients are able to find the specific equipment to serve their needs. A full body harness is used to maintain safety for workers who are doing construction which is high off the ground. The full body harness is worn by the worker and is attached to cables to stop the falling of the worker. As a Toronto full body harness distributor, Cable Craft sells six different types of full body harnesses. Cable Craft is a Toronto lanyard and rope grab distributor. A lanyard is a rope that is worn around an object to carry it easily. It is used to eliminate the risk of losing the object or to ensure it is visible at all times. A rope grab allows workers high above the ground to move up and down easily while working.